Shopping on Instagram is the future of selling art, and we've automated it for you. 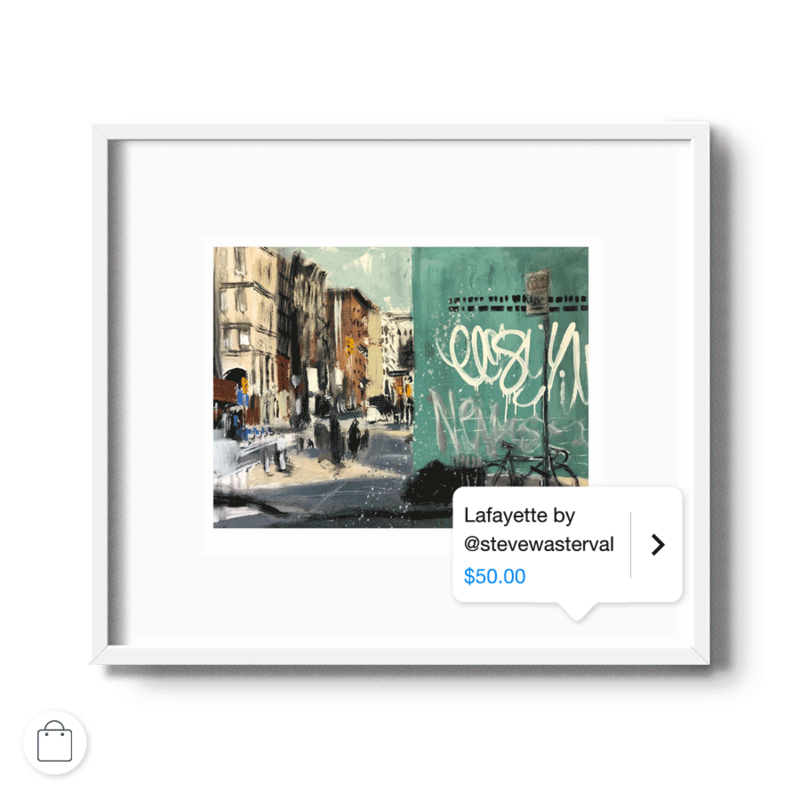 8x10 offers a quick, step-by-step walkthrough, which sets up and connects all you need to tag artwork on Instagram for purchase. 8x10 provides a simple step-by-step walkthrough helping you set up this feature under the settings menu titled, "Shoppable Posts"
• Tap the line titled, "Shoppable Posts"
• If you do not see your business to select, read this. • If your Instagram Account is already a Business Account, the 8x10 app will skip this step. • If you do not have an Instagram Business Account, please leave the 8x10 app, convert your account to Business and return to 8x10 to complete the Shoppable Posts set up.